If you have received a phone call from someone asking for your help to bail them out of jail you're going to likely be flooded with questions, especially if you've never gone through this process before. Bailing someone out of jail can be quite emotional, as you are worried about your loved one and surely they are frightened to be in lock up. Luckily, in most cases, they won't have to stay there for long if you utilize the skills of a professional bail bond agency. As soon as you learn that somebody you care about has been placed under arrest you will want to reach out to an expert who can help you get them released as soon as bail has been set. 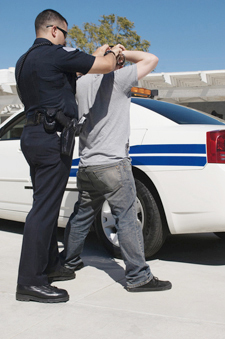 When a person is placed under arrest they will be sent through court to have their bail set by a judge. This is a dollar amount that is based upon the crime, the defendant's criminal background and other factors. If a bond is not used, which will be explained in the next paragraph, a person must pay this full amount in order to be released from jail pending any upcoming court dates, which they are required to attend. Since bail amounts can reach into the tens or hundreds of thousands of dollars using a bail bond makes it much more affordable for the general public to post bail. A bail bond is issued by a professional agency and it acts as a contract between the bail company and the court system that ensures the defendant will show up to court and if they don't the full bail amount becomes the responsibility of the bail agency. In order for a bail agency to post a bond a fee of about 10 percent of the full bail amount must be paid by a person referred to as the indemnitor, or the cosigner of the bond. If a defendant does not show up for court the agency has the right to transfer the responsibility of the full bail fee to this person. Who can be bailed out of jail with a bond? Any person that has a bail amount set in their case and has not yet been convicted of a crime and is eligible for bail according to the court system can be released on bail. The bail amount will vary based on the type of crime. Sometimes people who have a high risk flight will not be granted the opportunity to be bailed out of jail. If you have any questions regarding bail bonds in Lake County, Mendocino County or elsewhere in northern California give the team at Rob Brown Bail Bonds a call. We offer full support when it comes to getting your loved ones out of jail quickly. To learn more about bail bonds or to begin the California bail process get in touch with us at (707) 587-4563. We are available 24 hours a day, 7 days a week!